by Karli L. One of the most interesting - but somewhat intimidating - chamber ensembles of the 21st century is probably the pairing of the viola and percussion. The dark sonority of the viola is a pleasing harmonic compliment to the various textures that percussion provides as a background. I say intimidating because in theory, it's hard to imagine the two types of instruments coming together well. With some compositions it isn't successful. But this is certainly not the case with this album. The vibrance of the compositions comes through in both the compositions and execution of them. 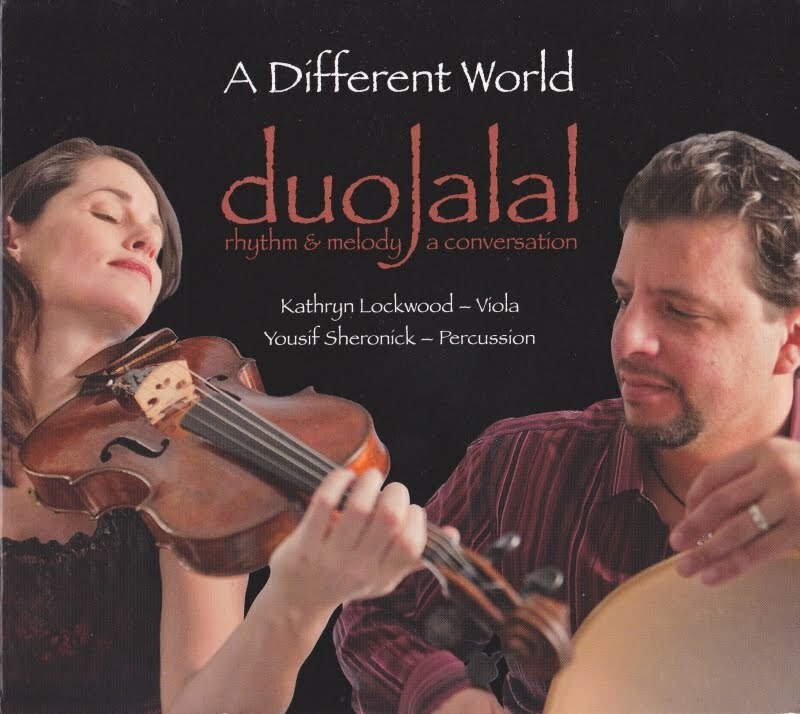 The sound is at times reminiscent of Klezmer, at others various music from across the middle east. In all the tracks there is fantastic energy and interesting sounds that are uplifting and engaging, and I find myself listening to this album frequently in the car when I'm in the mood for something upbeat and without words. Definitely an album that challenges the somewhat negative concept of nontraditional ensembles!